George C. Brainard, professor of neurology at Jefferson Medical College, is developing new LED lamps for the International Space Station with the purpose of improving astronauts’ sleep rhythms. Sleep patterns are affected by spaceflight due to a noisy environment, weightlessness, and station maneuvers occurring during rest periods, not to mention a new sunrise every 90 minutes as the station races around the Earth. All these factors can affect astronauts’ biological clocks, creating longer term health impacts. The new LED lamps would help alleviate some of these problems, allowing astronauts sleep better. Brainard and a handful of scientists are researching the influence of light and which modifications will help astronauts sleep better. The results shows that the colour of light influences human sleeping habits and the colour blue in light helps with the regulation of sleep. The influence on the astronauts’ biological clocks are an important factor in long duration flights. Due to this fact and the results of recent studies, NASA wants to replace the current fluorescent lights used on the ISS with high-tech LED fixtures that will offer improved health benefits. However, blue light, the best option for enhanced sleep, cannot be used on ISS because astronauts must be able to distinguish colours, which appear altered under colored lighting. Currently, Brainard is researching light that is predominantly white with nuances of blue. This light can be adjusted to regulate biological clocks with three settings: one that boosts alertness in the morning, one to help astronauts relax, and a regular mode during the day. There are still a variety of tests that need to be performed before the new system is deployed on the ISS. 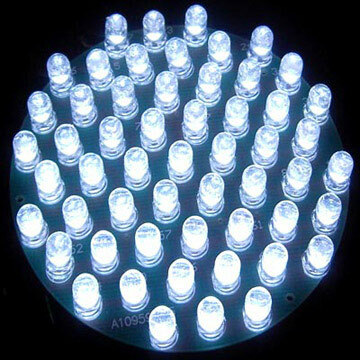 According to philly.com, the first of 100 new LED lamps will be delivered to NASA in 2015.